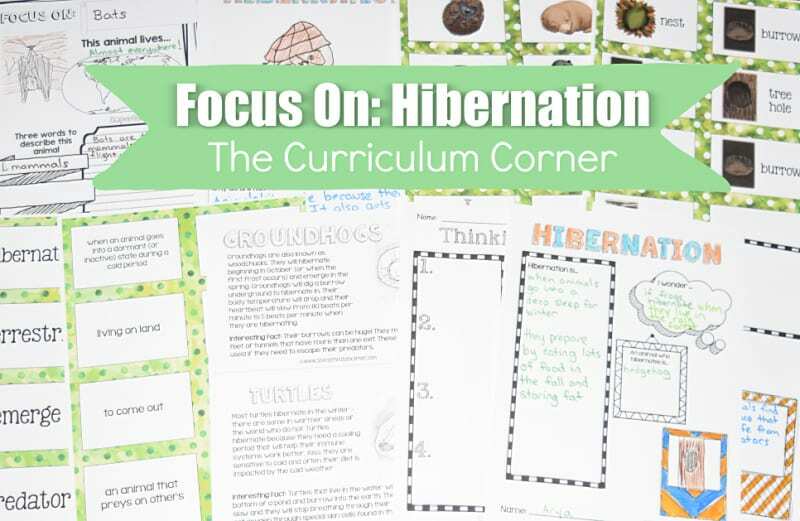 These free hibernation materials have been created to help teachers work with their fourth and fifth grade science students. This collection includes materials that can be used to supplement your science instruction. We have created a variety of reading and writing based activities. Our goal in creating this collection was to provide teachers with language arts based materials that can be used to reinforce what is being taught during science. 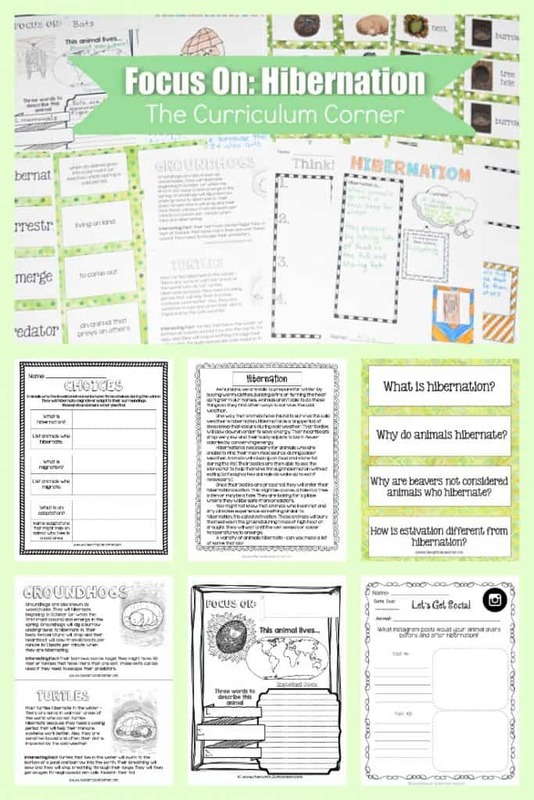 You will be able to use these free hibernation materials to add to your science instruction. As always, these are free resources for teachers. Please share this post with your colleagues. You may not link directly to the PDF in a blog post but we do encourage you to share the link to this post. You may not sell or modify and sell these materials. Our goal is to provide teachers with free resources! Anchor Chart We have provided three versions so you may choose the one that fits your needs. One has been completed with possible ideas and the other two are blank. 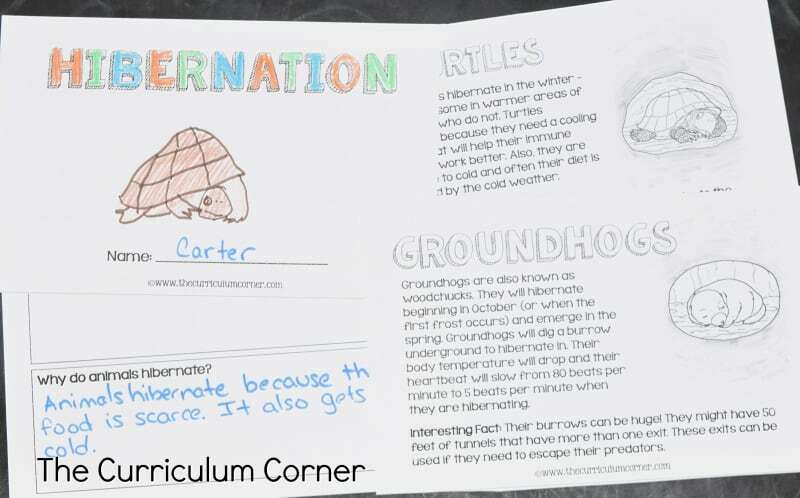 Hibernation Reading Passage & Graphic Organizer Students will need to complete a small amount of research to complete the Animals who… portion of the graphic organizer. Who Hibernates This chart contains both animals who hibernate and those who do not. Have students work together to cross off the animals who do not hibernate. Animal Match These cards contain animals and their hibernation spots. Students match the name with the animal and location. Some animals hibernate in ore than one location – be sure to point this out to students and encourage them to talk about this as they work. This is another activity where students will need technology access to research. Vocabulary Match Students match the vocabulary words with the definitions. Question Cards Start student discussions with these cards. Students can talk in small groups or the questions can be used to kick off a whole group discussion. Hibernation Notes There are two options here that are fairly open ended. Students record their thinking about hibernation as they learn using words and pictures. The first is designed to be a front to back page. The Thinking Sketch page can be used along with the animal booklet below if desired. Or, students can use it to research a new animal. Choices & Think About It Two more pages to encourage students to look more closely at animals who hibernate. Hibernation Booklet Cut and staple to create hibernation booklets for students. Focus On Pages These are designed to accompany the booklet or can be used as a guide for research. Blank Pages These can be used as desired to match the theme on the other pages. 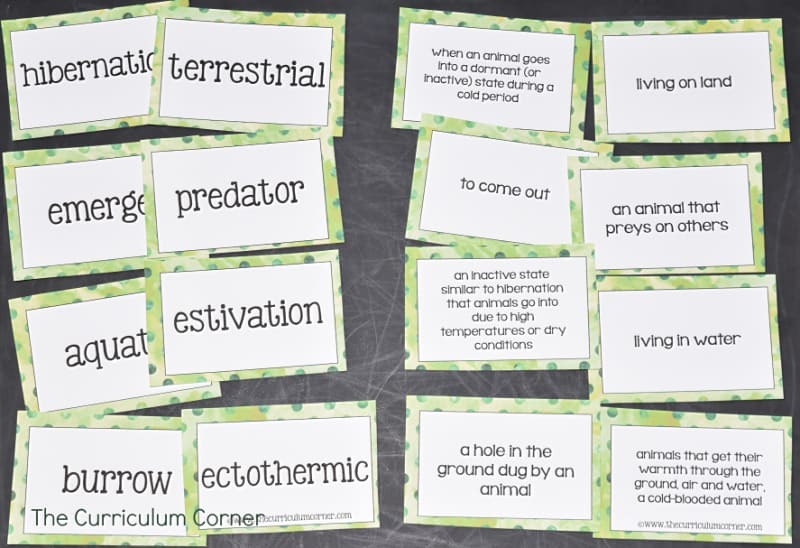 Animal Cards These can be used as exit tickets where students write a fact about an animal they have learned. We would love to hear how else you might use these! 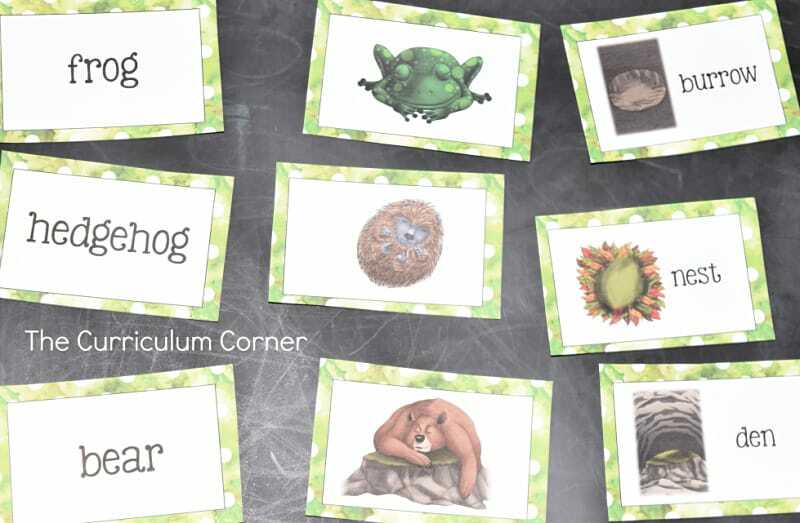 Let’s Get Social This page is a fun way to encourage students to think about a specific animal before and after hibernation.